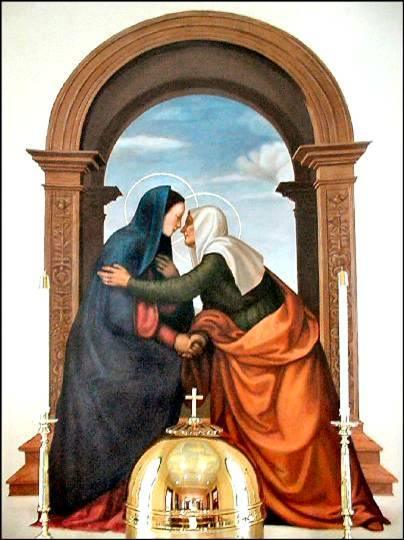 Painted on canvas and installed in the chapel behind the main altar. Minor modifications were made from the original so the painting worked better in the chapel. The blue in the sky, orange robe, and the arch color were all changed to work better with the color pallet of the chapel. The priest and I also decided to add gold leaf halos.